Tooth decay is the greatest threat to your overall oral health. Your mouth is full of bacteria. It’s on your gums, your tongue, and the surfaces of your teeth. Most of that bacteria is harmless. However, some of it produces acid that can wear away at your enamel. This bacteria is responsible for tooth decay. When you fail to remove plaque from the surfaces of your teeth, your enamel grows thinner, and infection can spread. Your dentist can stop infection and accompanying tooth decay from spreading by administering a dental filling. The most important thing to note about tooth decay is that it’s a progressive condition. That means that it won’t go away until you take action. In fact, your condition will only get worse. Cavities that aren’t addressed could end up causing you to need root canal therapy, or to lose the tooth altogether. You need to remove the bacteria from your tooth to stop decay. This is the first step in any dental filling. A dental filling is made by filling the cavity left behind by bacteria with a material — like resin, metal alloy, or dental ceramics — to fortify the tooth. When your tooth has a hole in it, it is not as structurally sound as it once was. The filling seeks to restore the structural integrity that your tooth had originally. 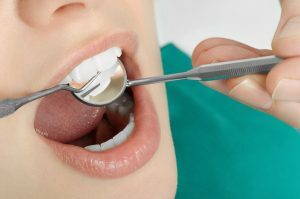 If you’re hesitant about receiving a dental filling, don’t be! Dental fillings are easy for your dentist to administer. Plus, tooth-colored fillings made with resin or ceramics blend in to the appearance of the rest of your teeth. You can strengthen your teeth in just one visit. If you have a cavity, it won’t go away until you seek treatment for it. Michael Flynn Dentistry can provide you with a naturalistic dental filling that matches the appearance of your surrounding teeth. You can stop the spread of tooth decay with a filling. For your consultation appointment, contact Michael Flynn Dentistry in West Allis, WI at 414-541-8250.